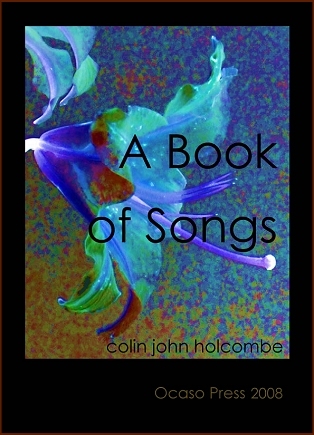 An old-fashioned book of poetry: poetry as it used to be with subject, sense and artistry. Here are thirty-five poems on love in its various aspects and manifestations. Some are simple and faux-naif, little more than nursery rhymes. Others are more demanding and extended. Many of the poems follow strict and/or complex rhyme schemes, and all are metrical. Indeed this short collection demonstrates what Modernism denies, that traditional poetry may create pieces of memorable beauty while not shunning contemporary issues and themes. A wide range of attitudes struck are struck, but follow an alternating male-female viewpoint through the collection. There is also a progression from simple happiness, through the complex affections that make human society, to loss, regret and recollection. stepping as you must do in and out of clothes. on rivers that tremulously empty south? up of the body into its shining length? that I hold and entrance you till morning come.